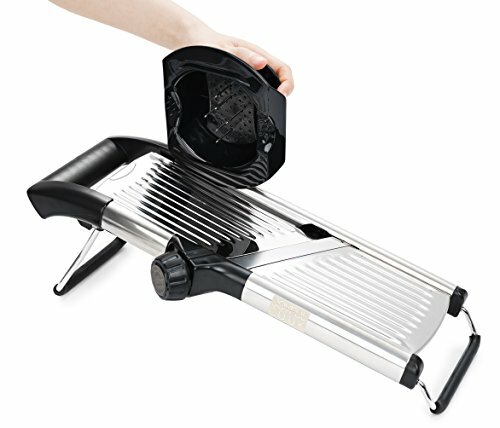 SPEED UP MEAL PREP with the Fullstar Kitchen Mandoline. Slice onions, potatoes and other vegetables, and add freshly grated cheeses to casseroles, salads and all your favorite cooking recipes. VERSATILE BLADES snap in and out quickly and easily, and come with a blade container for storage. 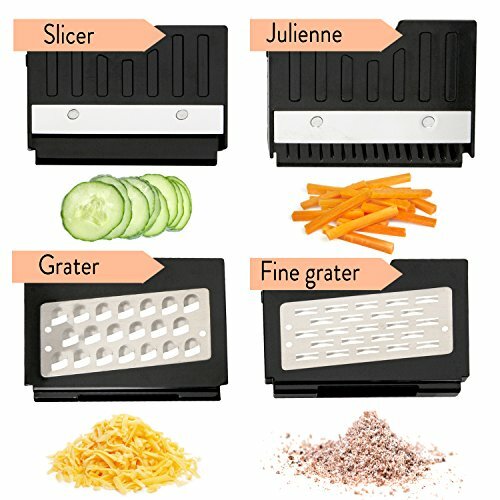 Includes julienne blade, slicer blade, coarse grater blade and fine grater blade. Made in China. SLIP-RESISTANT rubber feet add stability, and a sliding hand guard / food holder protects fingers from blades to prevent cuts and injuries. All components are top-rack dishwasher safe for easy clean- up. 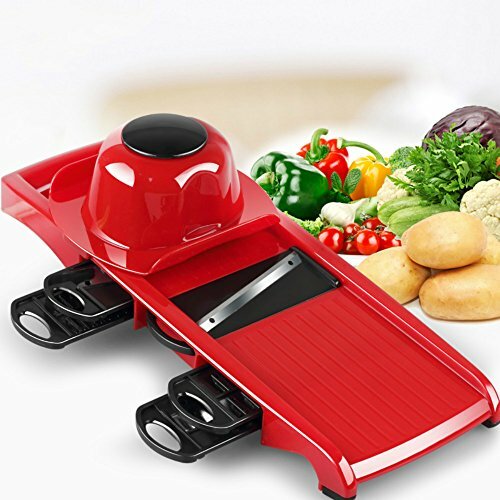 The Fullstar Mandoline is the quick, easy way to uniformly slice onions, cucumbers and more in your family’s favorite recipes. 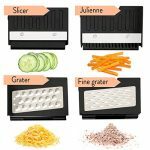 With 4 razor-sharp interchangeable blades you can julienne carrot medallions or potato chips, add freshly grated cheese to taco salads, and sprinkle chocolate shavings on top of ice cream for a truly decadent touch. 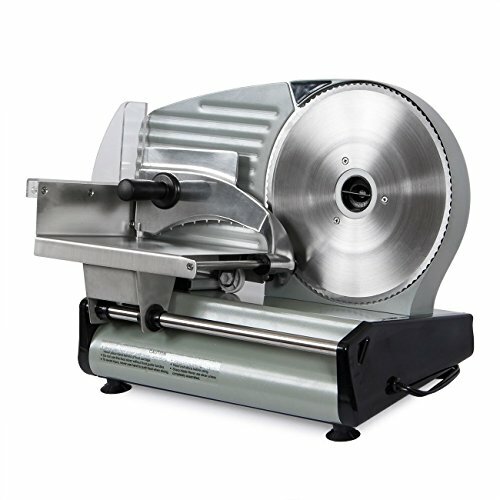 Blades snap in and out in seconds, getting you out of the kitchen in record time to enjoy your family and guests. 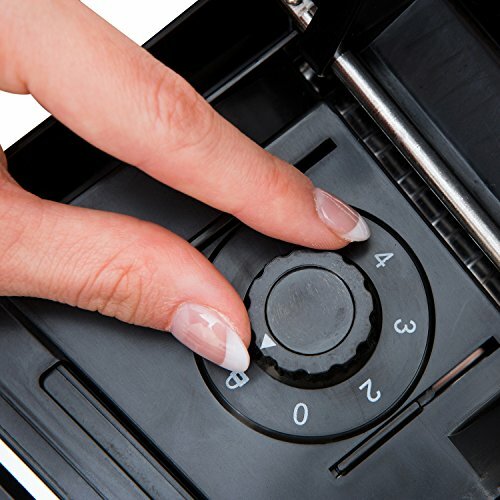 Because the Fullstar Mandoline requires no electricity or batteries, you can use it anywhere and anytime, without disturbing the rest of the household. 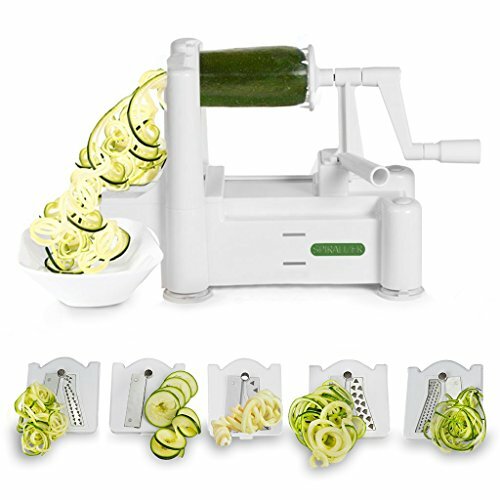 The Fullstar Mandoline is made of FDA and LFGB approved 430 stainless steel and non-toxic, BPA-free ABS plastic. This makes it non-corrosive and impact resistant for long-lasting durability. Non-skid rubberized feet ensure stability and the sliding hand guard holds foods safely while slicing and grating. Weighing less than 4 ounces, this versatile kitchen tool sets up in minutes, unlike heavy and cumbersome food processors. The removable bottom compartment allows instant access to sliced / grated foods. When meal prep is complete, pop the blades and the base into your dishwasher while dinner cooks. We are committed to providing exceptional products and outstanding customer service. Select the Fullstar Mandoline with confidence. If this convenient food slicer and kitchen grater does not perform as promised, return it for a full refund of your purchase price. Reduce food waste and cut prep time in half. 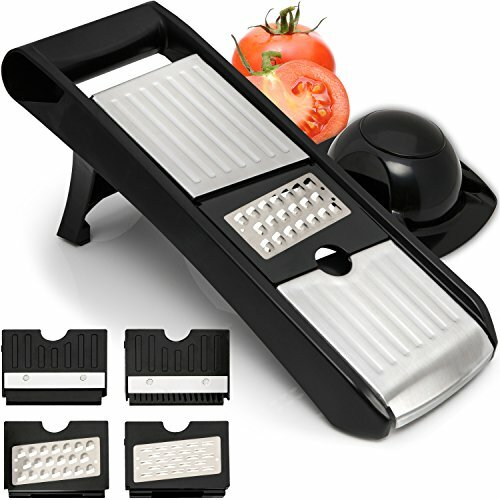 Add the Fullstar Kitchen Mandoline to your cart today. FDA AND LFGB APPROVED stainless steel and ABS plastic are BPA-free. Measuring 13.78″ x 4.72″ x 3.27″, this space-saving multipurpose kitchen gadget has a modern, stylish design that compliments any decor. SATISFACTION GUARANTEED or we will refund 100% of your purchase price. We insist on the highest quality materials and manufacturing processes to bring you our line of reliable home kitchen accessories.